^ a b c d e Payne-Gaposchkin, C. (1984). "The dyer's hand: an autobiography". In Haramundanis, Katherine. 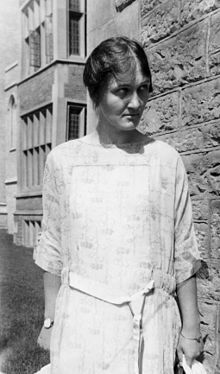 Cecilia Payne-Gaposchkin: an autobiography and other recollections (2 ed.). Cambridge University Press. pp. 69–238. ^ Mack, Pamela E. (1990). "Straying from Their Orbits: Women in Astronomy in America". In Kass-Simon, Gabriele; Farnes, Patricia. Women of science: righting the record. Bloomington: Indiana University Press. pp. 105–107. 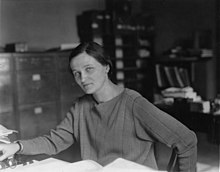 ^ "Cecilia Payne-Gaposchkin Doctoral Dissertation Award in Astrophysics: Foundation supports re-named astrophysics dissertation honor". American Physical Society. Retrieved 15 December 2018.